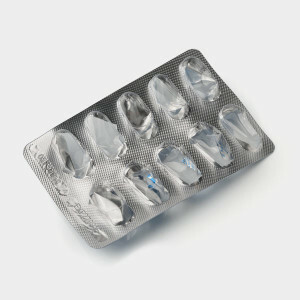 If your blister pack still contains medication, be sure to dispose of it properly. Find out how to dispose of medicine and prescription drugs. Blister packs aren’t made with recycling in mind, so it’s best to avoid buying items that come in blister packaging whenever possible. In the United States, blister packs are most commonly made of plastics #3 and #6. Plastic #3, also known as polyvinyl chloride (PVC), is not only the least recyclable plastic, but also one of the most toxic plastics used to make consumer goods. Exposure to its chemicals, which include dioxins and phthalates, can result in hormone and gene disruption, birth defects and cancer.